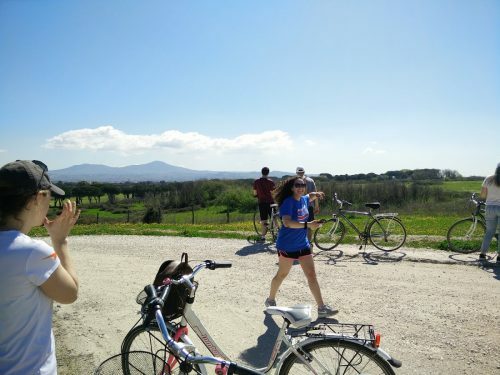 On Saturday, April 7, I went with SLA Vanessa and some other students for a bike ride along the ancient Roman street known as the Appia Antica. Getting to the road took two buses and a train, about an hour of commuting each way, but it was well worth it. 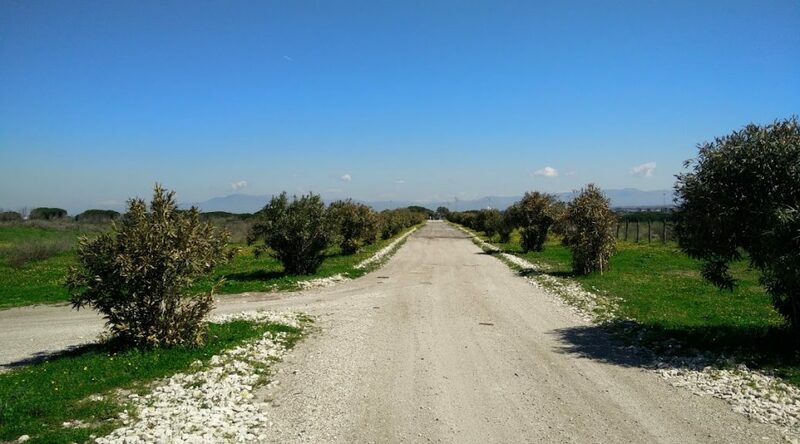 The important road was used for military transportation in the 4th century BC. 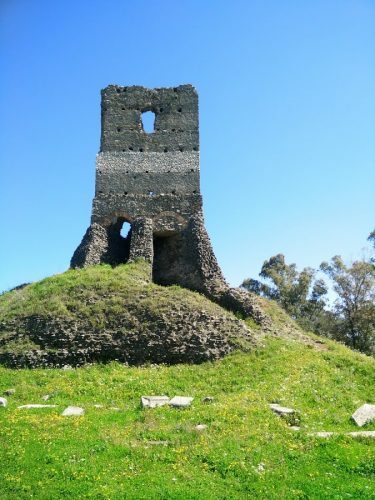 It connected ancient Rome to Brindisi, a town in Southeast Italy. 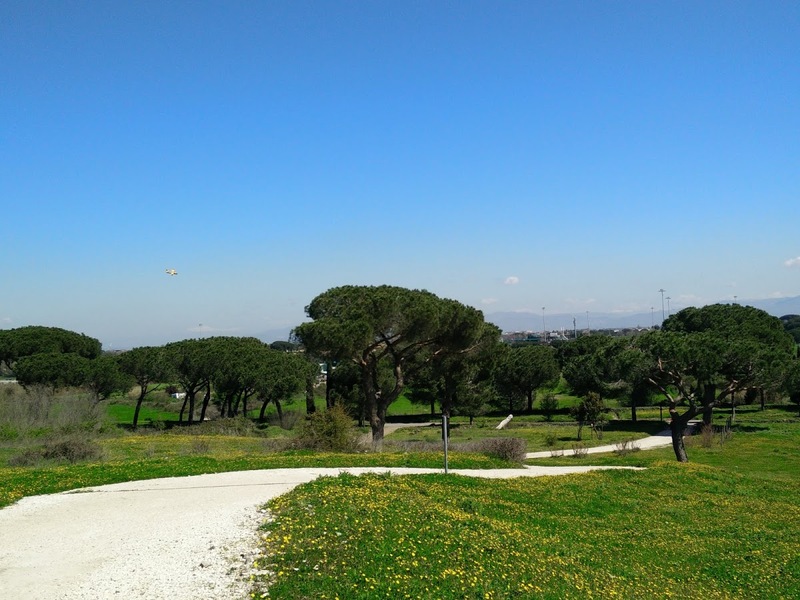 The area is now a huge protected park. The stone road is flanked on both sides by beautiful green fields and ruins of walls and castles, probably used as military bases and outposts hundreds of years ago. The trip was the highlight of the weekend. We had perfectly sunny and warm weather that day and I had a blast riding a bike for the first time in a couple of years. I even got some color on my arms from the sun! 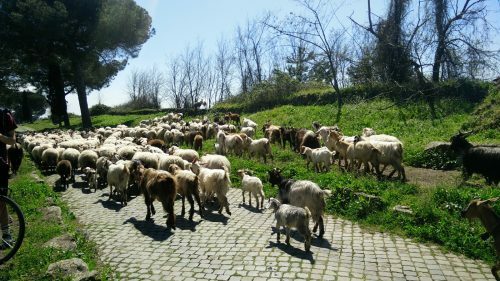 We watched as a herd of a hundred or more goats passed by on their way to a nearby farm. We stopped for group pictures at the best viewpoints. After riding for almost two hours down the road and back, we grabbed a delicious lunch at a nearby restaurant. The special that day was pasta with salmon. I asked the waiter for formaggio to sprinkle on top and I was laughed at. I forgot that putting cheese on any pasta dish with fish is frowned upon. I did not get cheese. Saturday was an even longer day. Got up at 6 AM, headed out at 7 for a pilgrimage to Assisi. This is a study trip offered by the JFRC, so I had been looking forward to it since January. Unfortunately, I finally got sick this past week, probably from insufficient sleep over Easter break. Not wanting to miss the trip I had been waiting for, I stumbled out onto the bus, groggy but excited for the day. The trip was full of beautiful churches in an awesome location. 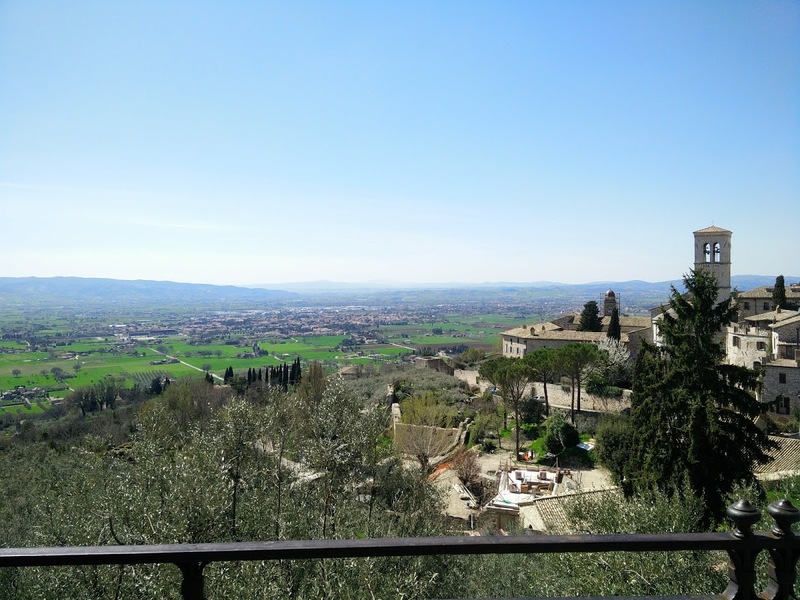 Assisi is a hilltop town built above acres of farmland. It is significant because it is here in Assisi that Saint Francis and Saint Clare lived and worked to help improve the lives of others. Saint Francis was somewhat of a revolutionary figure in his day. He spoke openly about the need for all creatures to live in harmony. He is the patron saint of the environment. If I had a favorite saint, it would be him. 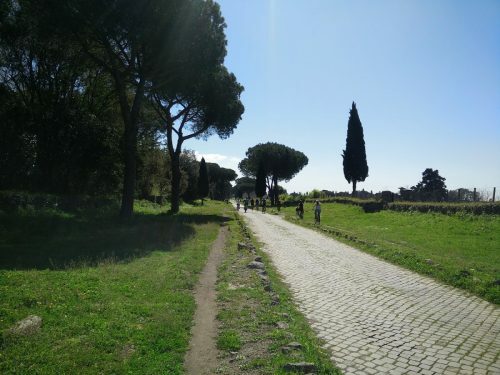 The weather was great and I was relieved each time I stepped out of every chilly basilica and into the sunlight. We must have sang 100 “alleluias” that day, as it was still Easter Season and we spent a lot of time celebrating Jesus’s infinite love and mercy. If I had been feeling better, I would have appreciated the time spent reflecting and praying during mass and the prayer services more. Despite my sore throat, I sang when I could and tried to get the most out of the experience. All the while, I eagerly awaited dinner. Dinner was a delicious, extravagant, four course meal at an agriturismo (bed and breakfast/farm) 30 minutes away from Assisi. The wine flowed freely and the servers kindly offered seconds of each plate. The thing about these big Italian meals, is that instead of making you terribly full, feeling like you’re going to burst, they usually leave you perfectly satisfied. This is because each course is smaller than meals at home in the states, and there is enough time in between plates to digest and enjoy. What made the meal so great were the jokes and burns exchanged between Father Ted and Father Al, the two priests who lead us on our trip. They had us cracking up. At one point, Father Ted, an older, usually quiet man, stood up and asked if we had ever heard his impression of a German Shepherd. When we said no, he proceeded to shout instructions at an imaginary herd of sheep in a terrible German accent. (There were many more similar jokes and puns throughout the evening.) A little girl of about 7 or 8, holding the hand of one of the waitresses, walked up to Father Al, and wordlessly handed him a drawing she had made. The drawing was of two people lying on a beach under some palm trees. There was no explanation, it was just a simple and sweet moment. One teacher, Sander, known for his long-winded speeches and toasts, shared some lovely thoughts on his time spent with the two fathers as the meal was winding down. Sander remarked that the Assisi trip is a great way to bring people back to their roots, spiritually and emotionally. This was the last official trip of my semester and I feel closer to home than I have since the winter. The trip was exhausting but it reminded me of how much I have to be grateful for, and gave me some new ways to get closer to my roots when I get home. Can you spot the biplane?